After getting Windows Media Video (WMV) to successfully play within Firefox on Ubuntu 7.04, I attempted to achieve the same functionality within Suse 10.2. I pretty much succeeded. 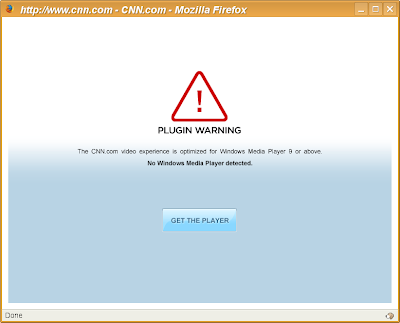 When you install Suse and attempt to play WMV from CNN's web site, you get the following dialog. 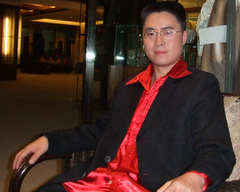 In order to successfully play back WMV, I installed xine-extra (optional Xine plugins). Everything else had already been installed according to Yast2. 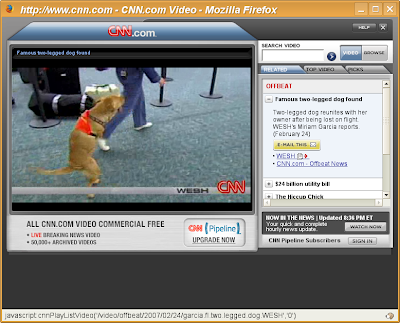 What follows is a screen shot of the plugin working. What's interesting is that there are no controls on the plugin like there are under Ubuntu or Windows. I have no idea why. That will allow VLC dependencies to be properly fulfilled. Once VLC was installed I plopped my Serenity DVD in and checked out VLC's playback capabilities. What follows are some screen shots. Nothing spectacular. I just put them in there because I liked Firefly and Serenity. Looks like I might just keep Suse around a little longer. I've still got lots to learn.